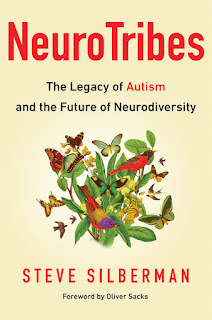 Steve Silberman’s book Neurotribes is a must-read that raises some interesting questions about the history of the autism diagnosis. Part of what he writes will be familiar if you’ve read the original Asperger and Kanner papers, but even then he’s found some striking new twists that were buried in the archives, and they are sure to stimulate good discussion. Last month I had the opportunity to read an advance copy, and this week reviews of his book appeared in the NY Times and Atlantic. The Atlantic article in particular touched on what I felt was a key part of the story Steve uncovered and I’d like to expand a bit on it here . . .
I’ve always been curious about the striking coincidence in how autism made its debut in the medical literature. In 1943, Dr. Leo Kanner published a paper in America in that described a previously-unrecognized condition he called “autistic disturbances.” A year later, in 1944, Dr. Hans Asperger published a paper in German that described the same thing – autistic behavior. How did two clinicians an ocean apart come to recognize the same previously-unseen condition, and quantify it using many of the same terms? This mystery was deepened by the fact that Kanner seldom made any reference to Asperger or his work, and there was no known collaboration between the two men. Or so it appeared. In the recent Atlantic article, Silberman describes finding the hidden connection between Asperger and Kanner. It turns out to be a third man, Dr. George Frankl. In the 1930s Frankl was Asperger’s diagnostician at his clinic in Vienna. Frankl was there for all the diagnoses described in Asperger’s later paper, but he left Austria when the persecution of Jews began. By 1938, thanks to Kanner’s sponsorship, Frankl had found a new home at Kanner’s clinic at Hopkins, where he examined Donald Triplett – now celebrated as “autism case #1.” Interestingly, when you read the accounts Kanner published about Triplett there is very little first-person language. As far as I know, no one has considered the reasons for that until now. What if Kanner wrote in the third person because Frankl did the actual evaluation? Maybe we’ve been barking up the wrong tree all these years, debating whether Kanner or Asperger should rightly be the “father of autism.” Maybe the real father – if there is such a thing – is Dr. George Frankl and Kanner and Asperger were both bosses who facilitated things and took the credit for their subordinate’s work. Silberman does not suggest that, and I concede it’s just a guess. But the scenario is all too familiar to postdocs and grad students of today! It is clear now that Kanner and Asperger’s discoveries were neither independent nor simultaneous. That’s not all . . . One tragedy that Silberman describes at length is how Asperger – in his original writings – described family clusters, regression, and the full breadth of exceptionality and disability that makes up the autism spectrum as we know it today. Yet the descriptions were not translated from the German for 40 years, and even then they were not widely circulated, so the true breadth of autism remained unrecognized until its rediscovery in the past decade. The result – countless people at the more verbal end of the spectrum – like me, my son, and his mother – were overlooked and written off as lazy or stupid, when in fact we could have received life-changing interventions and understanding if Dr. Asperger’s insights had been widely known. In another review of Silberman’s book a writer asked where the 50 and 60 year old autistic adults are. Putting aside the fact that I am one, and I am highly visible, Silberman talks about that question in his narrative. Dr. Asperger seemed to believe his charges belonged in the community, while Dr. Kanner seemed to believe they belonged away from the parents in institutions. I say “seemed to” because that is the impression I formed from reading the original words of both men, and it seems like Steve Silberman drew a similar conclusion. That said, I did not need a book to find older adults with more severe autistic disability. Dr. Kanner referred many patients to the Deveraux group homes, and I have had the privilege of meeting some of them in modern times as I’ve spoken at Devereaux events and facilities. I’ve written before about the sensitivity and compassion I saw extended toward older Jewish adults with major cognitive challenges at the Brooklyn Women’s League homes. I was very moved by the environment I saw there. If you are looking for a model for compassionate care and inclusion for people with cognitive challenges (autism and more) look no further than Brooklyn. And know there are other places like that around the USA. I can’t imagine anyone could visit facilities like those and wonder where the more challenged adults reside. They are everywhere, if you know where to look. And people at my end of the spectrum are everywhere too. We’re every bit as common as Dr. Asperger suspected, and every bit as diverse. Later in the book, Steve writes about the emergence of the neurodiversity concept, and the reality that the autistic children of the past have grown up and begin asserting their (our) rights. Autism advocacy started as a parent’s crusade on behalf of disabled children, but it’s morphing to a movement where autistic adults push for acceptance and accommodation in addition to assistance and services. We are finally recognizing that the autism spectrum encompasses more than the most severely impacted people that were diagnosed in the 1980s. You’d think the puzzle would look simpler but these insights make it even more complex, from my perspective. 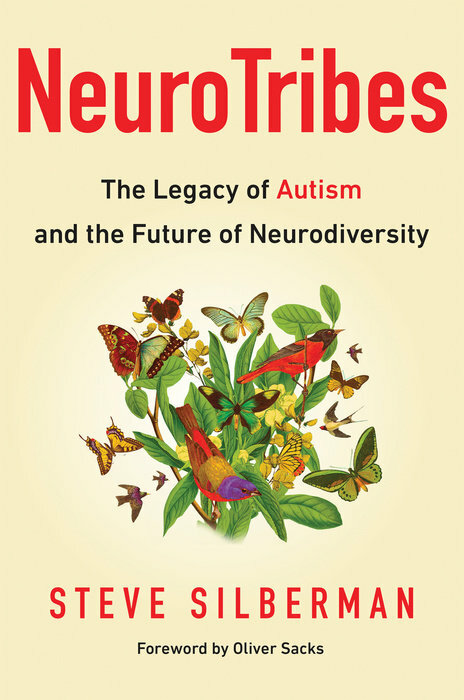 Neurotribes is a book that will make you rethink your views of this autism spectrum and how it all came to be. Give it a read.